Every once in a while I like to do a sort of list or round-up post where I compile some information or industry resources I think are helpful. On the Embroidery Talk Blog, it’s called the Friday Blog Round-Up. I’m not sure if the same sort of post will be as regular here, or will get its own name, but I thought it might be useful to include some links to helpful information I’ve found. First up, for those who are interested in sublimation for schools, you may want to download Sawgrass Ink’s “Making Money in the School Market“. This marketing plan can give you tips on how to grow your school sales. Schools can be a fertile ground for all kinds of decoration, so it’s definitely worth downloading this book. Second on the docket is a video, also from Sawgrass, about how to download and use Unisub templates. For those who don’t know, Unisub makes a number of products for sublimation, and the templates they provide are very useful. If you just want access to the templates themselves, you can find them on Unisub’s website. Third on the docket, we have what we call the “Dye Sublimators Bible“, which can be downloaded from EnMart’s website. This comprehensive guide covers all aspects of sublimation, and gives you information on sublimating various kinds of materials and products. It’s a very useful basic primer on the art of sublimation. Fourth at bat, if you’ve ever purchased any of our Mates products – you may find this helpful. 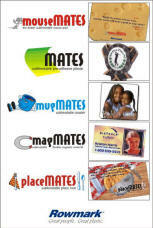 It’s some sublimation tips from Rowmark, the maker of the Mates products. You can download basic sublimation tips for Mates or troubleshooting Mates printing. Fifth, some tips for startup sublimation from Printwear Magazine. I have to confess I wrote these, and my favorite is the first one, since it addresses a concern I hear often. The reality is that you will screw up while sublimating at some point. Make your peace with that and don’t let it put you off trying sublimation entirely. One of the beauties of sublimation is that it isn’t limited to one type of item. You don’t have to just embellish garments, or just work with fabric, or just work with hard goods and never work with fabric. Sublimation allows you to decorate a wide variety of items, some fabric, some hard goods and some in the spectrum in between. While each specific item will have its own unique characteristics, there are some things that are fairly universal. Here are six tips that can help you in sublimating almost any substrate, from poly t-shirts to puzzles and mousepads to mugs. Tip 1: Each item is different, read the instructions and then test – It’s easy to think that a ceramic tile is a ceramic tile or a polyester shirt is the same regardless of manufacturer, but that isn’t always the case. Make sure you read the instructions specific to the item you are pressing and then do a test run before you start your production run. Each heat press, batch of ink and substrate will react a little differently. Purchasing one extra item to test can save you a ton of money in ruined items down the line. Tip 2: Too much moisture is a bad thing – If the room where you’re sublimating is too humid, it can cause problems with your paper and with the items you’re sublimating. 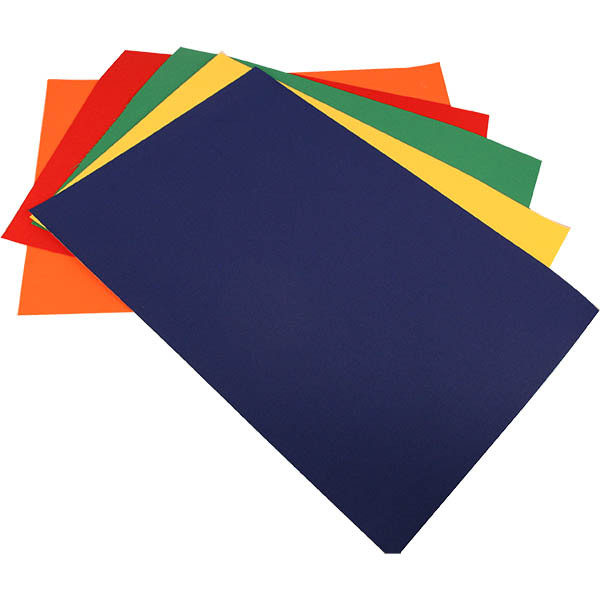 Make sure your sublimation paper is stored in a cool dry place. If you suspect your paper is too moist put it on your press for several seconds to to evaporate the moisture. You can also press garments for 10 seconds if they’re retaining more moisture than they should. It may also be a good idea to use an absorbent cloth or a non textured paper towel behind your transfer to absorb excess moisture. Tip 3: Don’t leave the transfer on too long – This tip may be especially relevant when it comes to ceramics, like tiles or mugs. Removing the transfer quickly helps prevent ghosting of the image and prevents the paper from sticking. Once the paper has been removed, cooling the ceramic in a bucket of water is recommended. Tip 4: Make sure your pressing time is just right – Press your item for too few seconds and you won’t get a good print, in the case of garments, you may even get a print that washes out too quickly, as the ink hasn’t had time to dye the fibers. Press the item for too long and you could get image fade on fabric, or ghosting on ceramic items. Check the instructions for the item you’re pressing to be sure you’re sublimating at the right time and temperature. Tip 5: You will make a mistake. Deal with it – In my opinion, one of the biggest problems novice sublimators have is the fear that they’ll make a mistake and ruin an expensive blank. I hate to be the bearer of bad news, but that will happen. Plan for it to happen, deal with it when it does happen and move on. Don’t let fear of making a mistake stop you from ever trying at all. 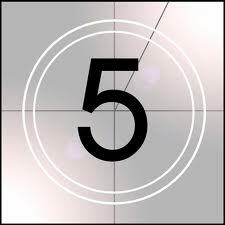 Tip 6: Information is your friend – The more you know, the better you can sublimate. Sawgrass has a whole host of videos and webinars that can help you learn to sublimate specific items. Blogs like this one will give you tips and provide advice and encouragement. Forums like T-shirt Forums or the ADF Forum have whole sections devoted to sublimation. Google and read and study and learn and then practice, that’s the best way to get better at sublimation. *Yes, I like a bit of alliteration on occasion. Why do you ask? Whenever I write about helpful websites or useful information for those who sublimate, one of the companies and sites I often mention is Sawgrass Ink. I tend to mention Sawgrass because (1) EnMart is a distributor of the sublimation and ChromaBlast ink they make and (2) they know what they’re doing when it comes to sublimation and ChromaBlast. They also put out great educational materials. One of their latest offerings is Sublimation 101: The Complete Guide to Sublimation Printing. Now, when Sawgrass says a complete guide, they aren’t kidding. They cover everything from the history of sublimation, to color management to working with graphics to the sublimation process. They also include an extensive section on how to sublimate many of the most popular sublimatible goods. This is a terrific resource, and well worth downloading. One of the best sections, in my opinion anyway, is Chapter 9. This is the section that walks you, step by step, through the process of sublimating some of the most popular sublimatible items. If you’re interested in sublimating performance wear, coated metal, mousepads or ceramic tiles, you’ll find this section very helpful. Actually, if you want to sublimate anything, you’ll find this section very helpful, as there is a helpful dye sublimation quick reference guide at the end of the chapter. 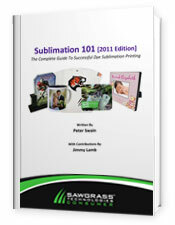 To download your own copy of Sublimation 101, simply visit the Sawgrass website. You will be asked to register with the site before you proceed with your download but, in my opinion anyway, the registration is a minor price to pay for the information you are being offered. If you’re just starting out in sublimation, this guidebook will be invaluable. If you’re experienced with sublimation, you will also find tips and tricks that will help make your sublimated goods that much better. This guidebook is definitely worth a look and a download.